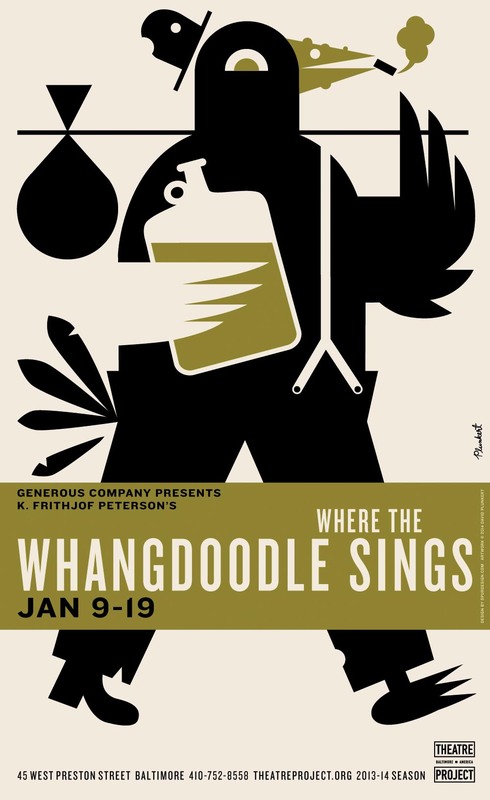 Poster for the upcoming performances by Generous Company's production of "Where the Whangdoodle Sings" at Theatre Project from January 9-19. Details here. 2 color screen print, 14 x 23.